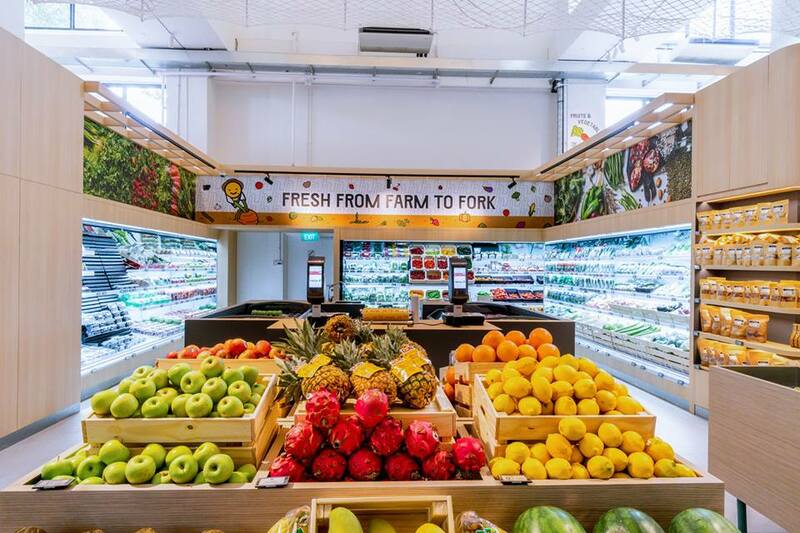 Online marketplace Honestbee launched Habitat last week in Singapore – a supermarket, dining, and retail innovation lab all-in-one. Self-described as “the world’s first tech-enabled, multi-sensory grocery and dining experience”, Habitat by Honestbee occupies a 60,000 square foot industrial building in Pasir Panjang – a five-minute walk from major tech hub Mapletree Business City. Inside is a full supermarket stocked with over 20,000 items, a dining area featuring 15 food and beverage concepts, and an innovation lab designed for developing new retail technology solutions. Although 71% of consumers in China already use online-to-offline services, O2O is still a relatively new concept in Southeast Asia. Honestbee’s move from the online sphere to brick and mortar marks a shift in Singapore’s shopping environment that could see O2O more widely adopted by the Southeast Asian market. Why is Habitat by Honestbee unique? AutoCheckout – A cashless checkout system allows shoppers to skip the checkout queue and automatically pay for their items via the Honestbee app. Bee Pass – Cashless transactions are enabled by Bee Pass on the Honestbee scan & go app. RoboCollect – After depositing a loaded trolley at the AutoCheckout station, items are automatically scanned, checked out and packed into bags using robotic technology. 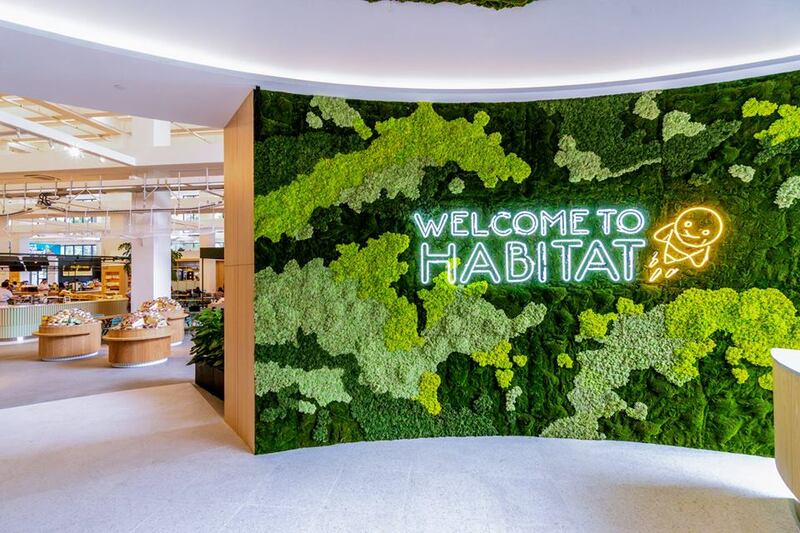 Within the innovation lab, Habitat plans to partner business owners and retailers across various industries to pilot new shopping experiences while leveraging Habitat’s infrastructure, logistics, and data. This will give businesses the opportunity to test and learn without having to commit to significant resource costs at the outset. The company is also partnering with major Singapore supermarket chain FairPrice as well as various restaurants and retailers to serve as a distribution channel from its in-house fulfillment center. Joel Sng, CEO of Honestbee, tells The Business Times that company’s ground-breaking technology and robust supply chain ecosystem will help partner businesses in Singapore and drive higher revenues. Retail and food partners can maximise their revenue and expand their customer base through our enhanced ecosystem,” Sng said. 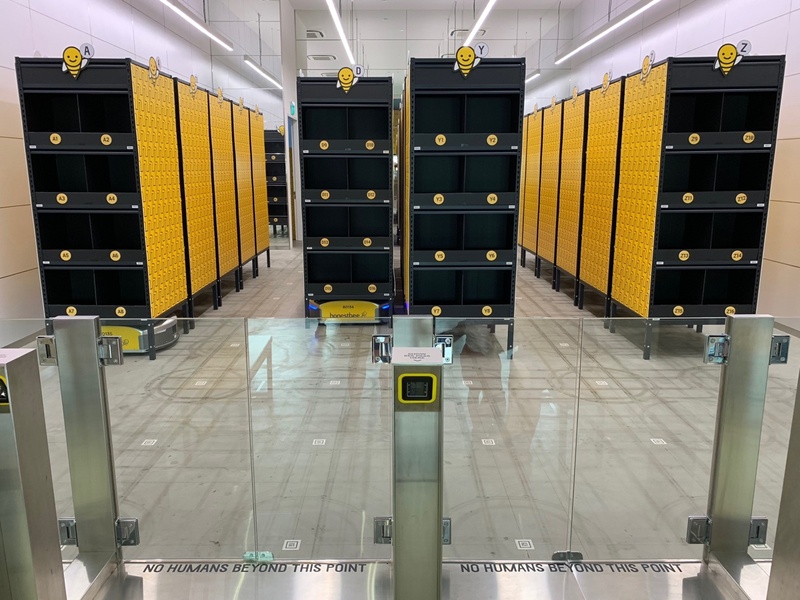 Honestbee’s use of industrial robotic technology in place of staff fuels the ongoing debate about automation and its impact on the workforce. A report from the McKinsey Global Institute estimates that nearly a quarter of full-time employees in Singapore will be replaced by automation by 2030. As part of the “SkillsFuture Initiative,” the Singaporean Government provides all Singaporeans aged 25 and above, credit of about $400 to pay for approved work-skills related courses. So far, 120,000 workers have used this initiative to upgrade skills – and with new automation-based businesses like Habitat by Honestbee entering the market, this number is likely to grow. An inventory & order management system designed to deliver the growth your business deserves.